New Holland - TD4040F - Agricultural Tractors - Narrow Specialty Tractor by New Holland Agriculture - a Brand of CNH Global N.V.
New Holland Agriculture - a Brand of CNH Global N.V.
Powered by modern, fuel efficient four-cylinder engines, TD4040F matches proven design with the latest in engineering excellence. A spacious operator platform with a modern ergonomic control layout deliver comfort and simplicity. Powered by exceptionally efficient four-cylinder F5C, Tier III compliant engines, as used in the T4F/T4V tractor series, New Holland TD4000F tractors are built to perform. Torque reserves as high as 30% are matched to rear lift capacities of up to 3,924 lb. and hydraulic flow up to 16.1 gpm pump. There is a choice of 2 rear remotes or 3 rear remotes with one valve having flow control. New Holland TD4040F tractors have a long 600 hour engine service interval. Combined with low fuel consumption and a large 21 gallon fuel tank, TD4000F tractors mean you spend more time working. Offering proven dependability, the TD4000F Synchro Shuttle is easy to use with a wide choice of ratios. Operators can select the ideal speed for the job for guaranteed performance and high productivity. Creep speeds are available. Just take a look at the design heritage of the TD4040F. From the renowned Fiat 86 series through to the well-established dependability of the modern New Holland TD5000, no other tractor comes from such a proven background. Developed to operate with minimum vibration, the four-cylinder power units of all TD4040F models have the advantage of delivering smooth power at all operating speeds. Combined with low noise, the advanced engines have a low 2300rpm rated speed to further reduce noise and vibration. 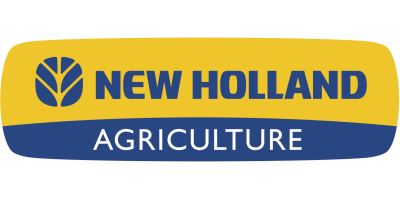 By meeting modern Tier III emission standards, increasing engine service intervals to 600 hours and offering intercooled engine efficiency, New Holland helps you reduce the ‘carbon footprint’ of your business – with no impact on your productivity. The latest generation four-cylinder New Holland engines powering TD4000F tractors develop maximum torque at a low 1250rpm. Torque reserves are as high as 30%. In demanding applications, TD4000F tractors have the reserves to maintain high levels of productivity. Electro-hydraulic controls manage both 4WD and rear differential lock engagement. This makes it easy for the operator to maximise traction in adverse conditions. When making a turn, the operator can quickly release the rear differential. Switch between maximum traction and brilliant manoeuvrability at the touch of a button. How slow do you need to go? A 20x12 creep speed Synchro Shuttle transmission is available. This offers working speeds as low as 0.23mph, ideal for certain applications. All transmission have a maximum speed of 24mph as standard. The Synchro Shuttle™ system makes direction changes fast and easy. There is no need to swap ratio when changing direction. The operator just uses the dedicated shuttle lever and clutch. The result? A quick speed matched change in direction. Few small ROPS tractors can match a TD4000F for operator comfort. The fully suspended seat and adjustable steering can be fined tuned to enable operators of every height, weight and size to settle down to work in absolute comfort. All controls are easy to reach and identify. The platform is mounted on purpose developed mountings too reduce noise, heat and vibration reaching the operator. All the main controls are positioned so they are easy to operate. All key transmission and hydraulic levers are grouped so the operator can use them without having to stretch. The TD4040F has separate power steering and hydraulic pumps. This ensures full hydraulic power is always readily available. An 11.9 gpm pump is standard equipment. An optional 16.1 gpm pump is available so you can accomplish those tasks where you need more speed to get the job done. There is a choice of 2 rear remotes or 3 rear remotes with one valve having flow control. Unique to New Holland, Lift-O-Matic rear linkage control allows implements to be raised and lowered to pre-set positions using a single control. Quick-attach link arms make the fitting and removal of attachments fast and effortless. TD4000F tractors have a direct drive PTO system. This reduces power losses and the number of parts liable to wear within the transmission. The tractor comes standard with 540RPM PTO. An optional 540E PTO is available which allows the implement to be operated at a lower speed, reducing fuel consumption. No reviews were found for New Holland - Model TD4040F - Narrow Specialty Tractor. Be the first to review!